Janjira is a brand I've had some exposure too with their gorgeous massage therapy candle and eye cream (which may I add comes in the largest pot it lasts for ever). They have just released their Marine Radiant White collection and I was able to try a few products from this aesthetically pleasing range. All products in the collection contain a unique ingredient called Aglowhite, an extract from brown algae. Enriched with antioxidants that have a triple action on the skin by brightening, exfoliating and protecting. Skin is left looking more luminous your complexion clear. Marine Brightening Radiant White Brightening Cleanser* is a creamy cleanser that I prefer for morning use although it works perfectly for removing make up of an evening. Whilst this is gentle on the skin I do find it causes a slight irritation around my eyes so I'm cautious when applying and most definitely a little goes a long way I can see this tube lasting some time. My next step is the Marine Radiant White Brightening Toner* which comes in a fabulous pump dispenser. This is a refreshing toner that my skin enjoys looking hydrated and bright after use. Whilst I always go in with serums and moisturisers there's no urgency after using this as skin feels so hydrated. Another product in the range, with the added ingredient of Sorghum Bicolor Stalk Juice to rejuvenate the skin is the Marine Radiant White Brightening Booster Serum*. Just a drop or two of this serum works to instantly make my skin look clearer and smoother. Of course as with all the other products in the range there is Algowhite and Vitamin C for its anti-ageing properties. 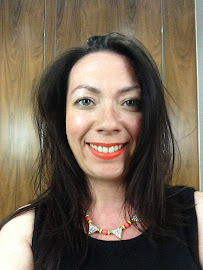 Finally is my favourite product from the range, Marine Radiant White Illuminating Day Cream*. As the name suggest it really does leave skin illuminated and is so light that wearing make up on top sits comfortably. Protecting against sun damage, pollution and other irritants this is a fantastic addition to my skincare line up. The Janjira Marine Radiant Range is an affordable high end range, if there is such a thing and depending on your needs will help you make your choice as to what you think is affordable, for example I'd happily spend £24 on the moisturiser but perhaps less reluctant to spend £20 on the toner... although that packaging tempts me alone. 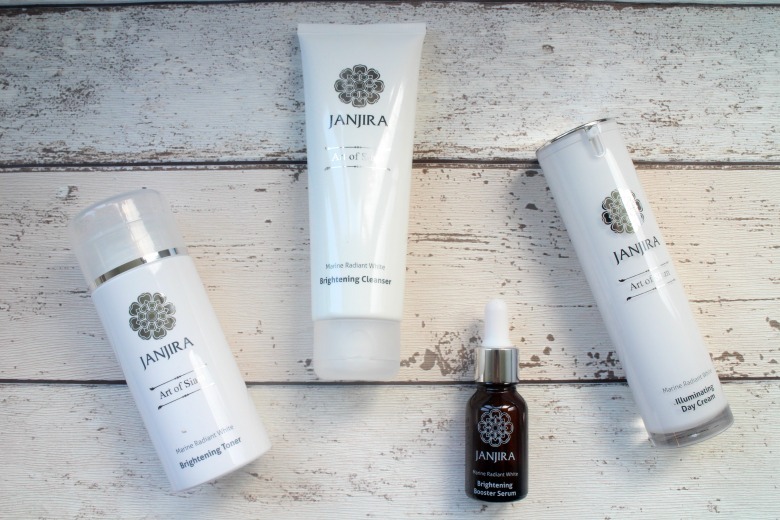 Have you tried Janjira skincare?